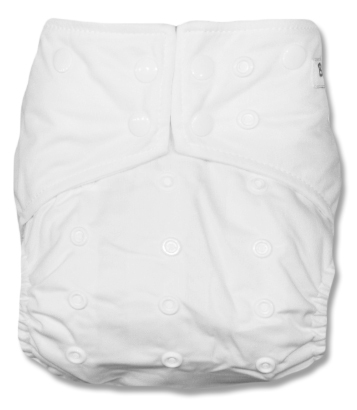 The white inner microsuede lining features a "sleeve" design as opposed to the pocket design. 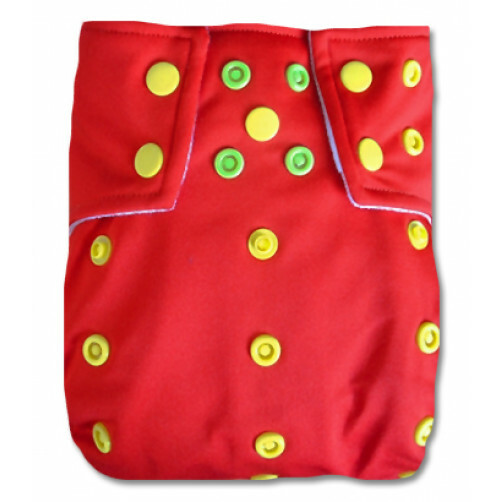 This allows for the insert to be stuffed/positioned from either end. 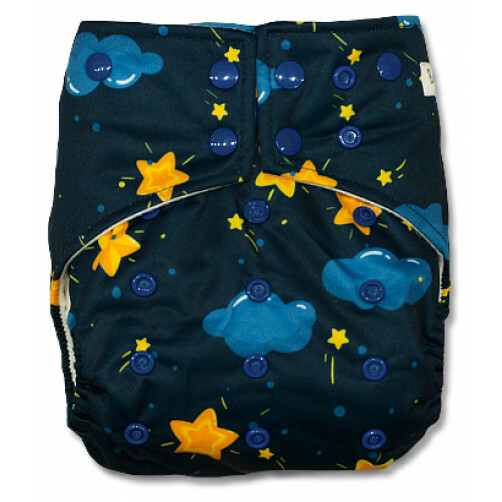 It also allows for the inserts to "self agitate" - meaning that the inserts will work their way out in the wash - so there is no need to pull the inserts out of the opening prior to putting the nappies in the wash. 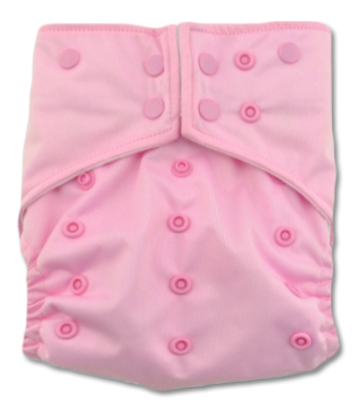 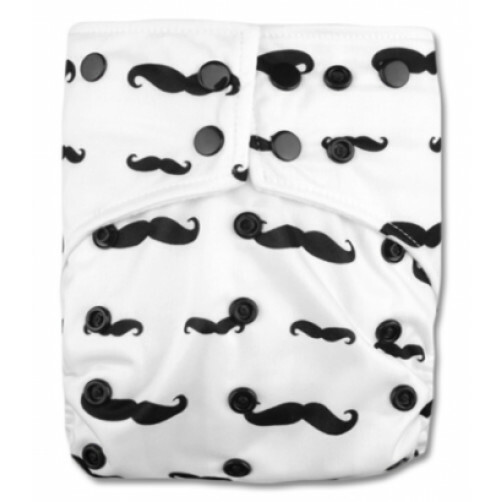 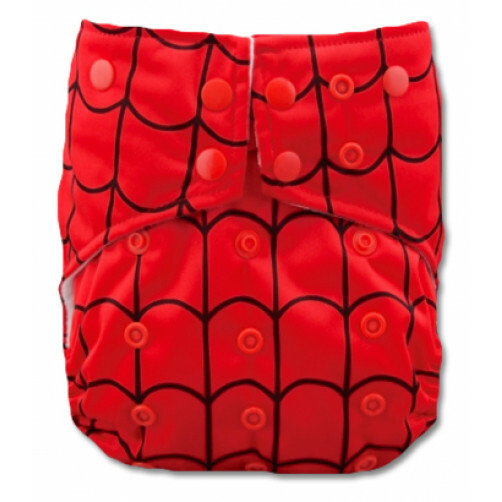 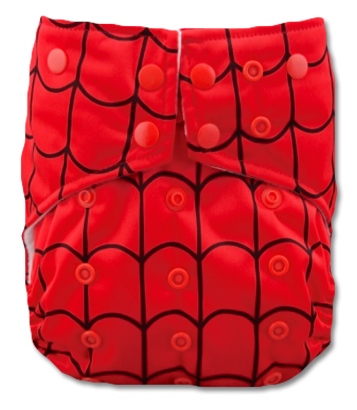 The sleeve nappy also has an additional waterproofing strip along the tummy side to help prevent liquid creeping up babies clothes if the clothes slip inside the nappy along the tummy. 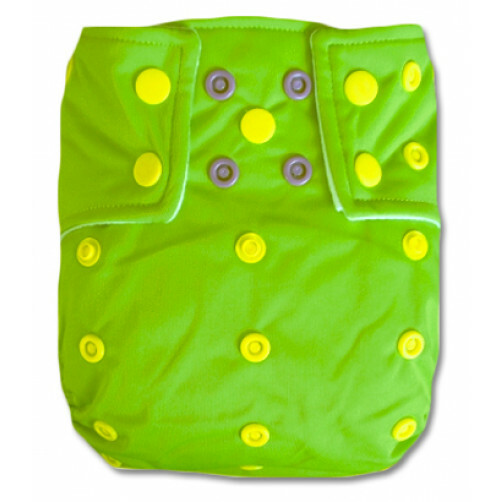 The BiddyKins Sleeve nappy also features a double gusset on the suedecloth lining, which is designed to offer a little extra protection against 'poo leaks' around the legs. 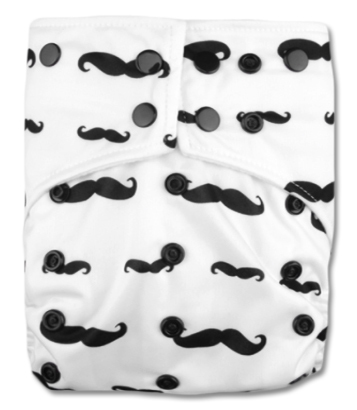 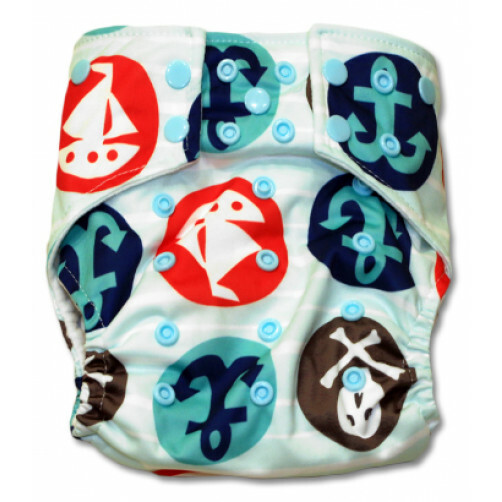 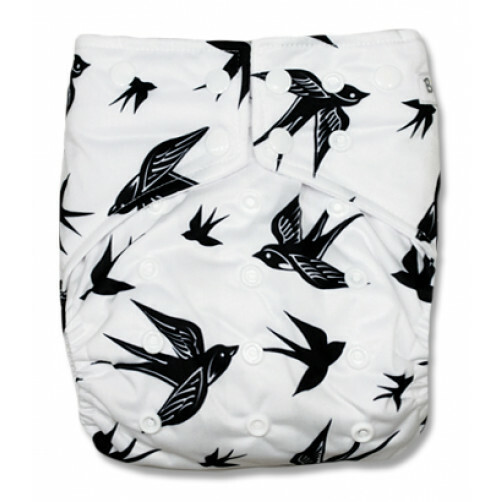 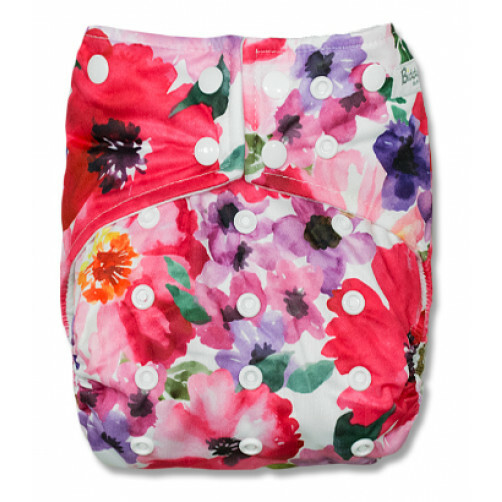 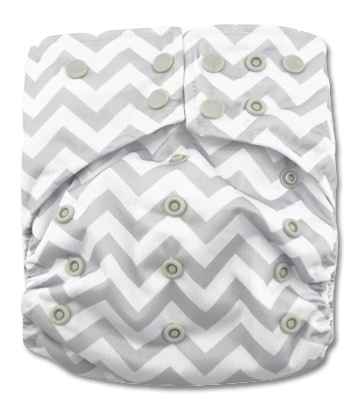 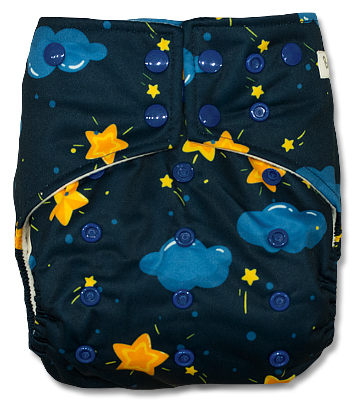 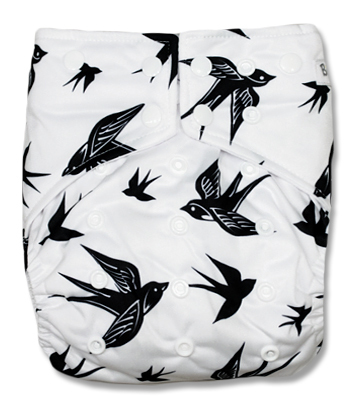 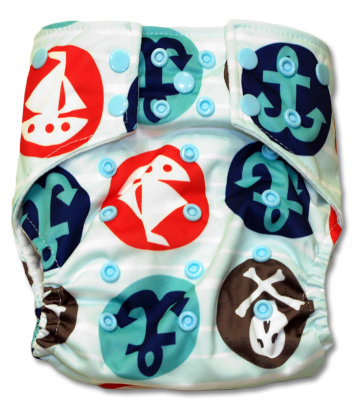 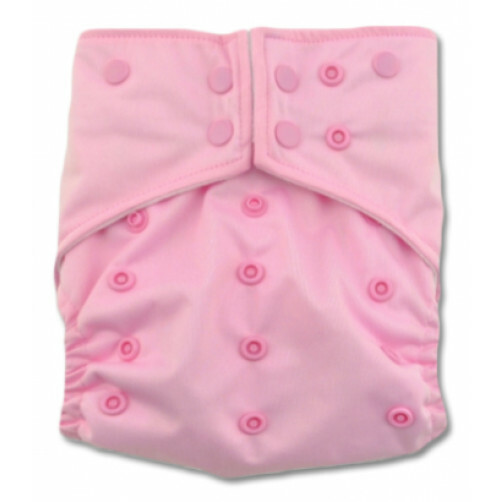 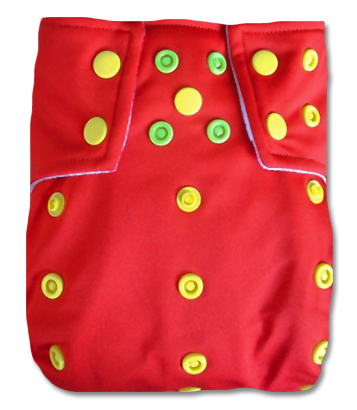 Biddykins Sleeve nappies are sold with two bamboo blend inserts as standard, one of these can snap onto the nappy. 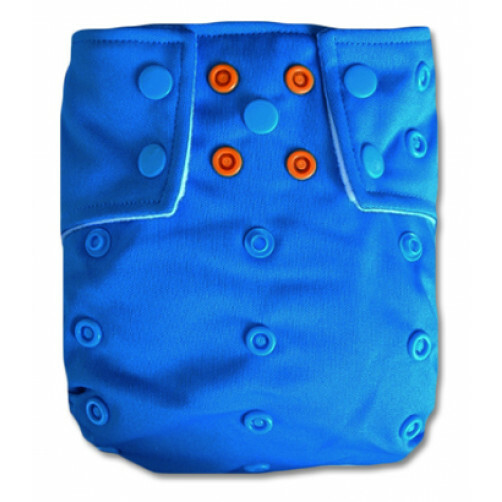 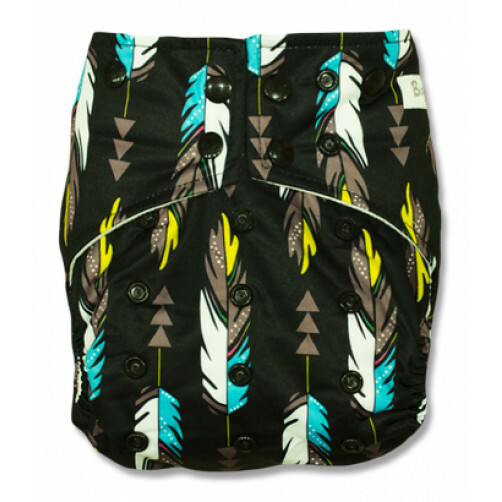 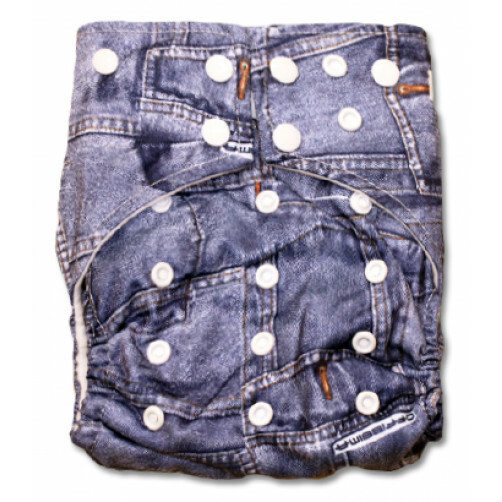 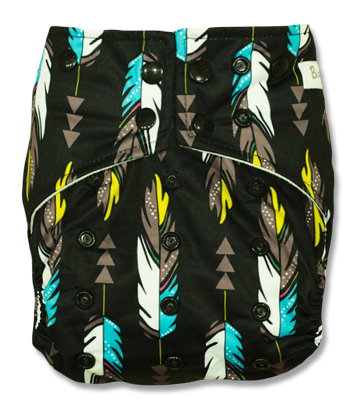 The front tabs are squared off and the snaps are colour coded, as opposed to the rounded tabs and white snaps of a pocket nappy. 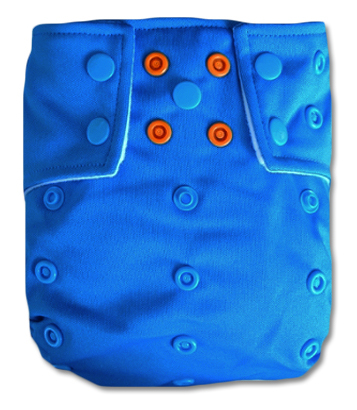 All these extra bells and whistles do make the Sleeve a little bulkier than the standard pocket nappy, but the larger "sleeve" with the opening at either end definitely makes it a little easier to stuff and adjust inserts - especially for dad's larger hands ! 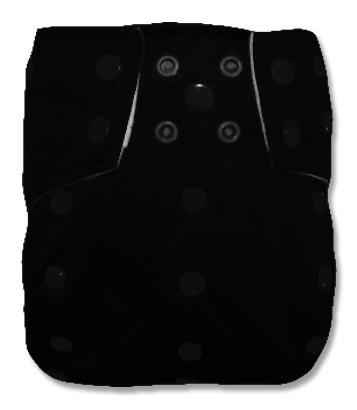 Sleeve design makes inserting and adjusting inserts easier. 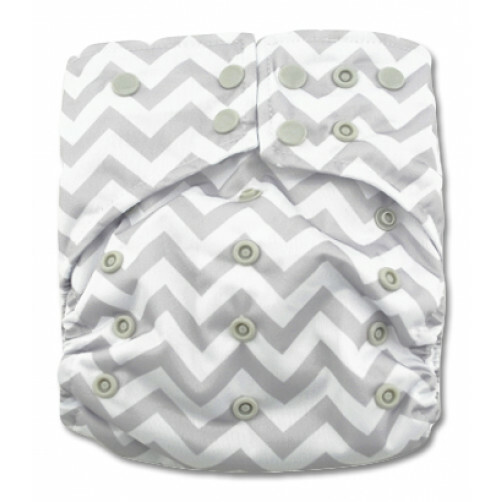 StayDry suedecloth layer keeps baby feeling dry. 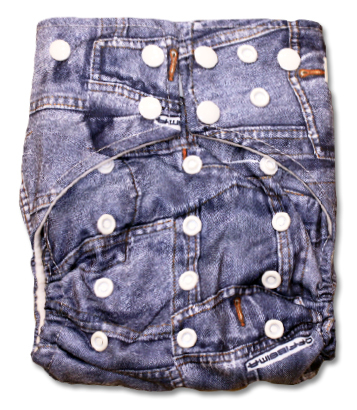 4 Rows of rise snaps to achieve a snug fit. 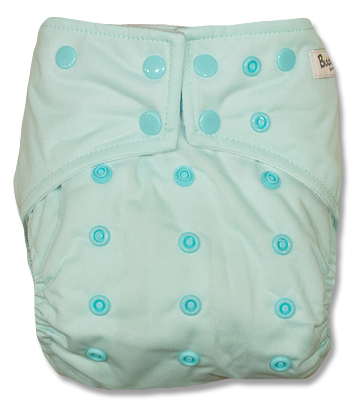 Comes with 2x 4 layer bamboo blend inserts. 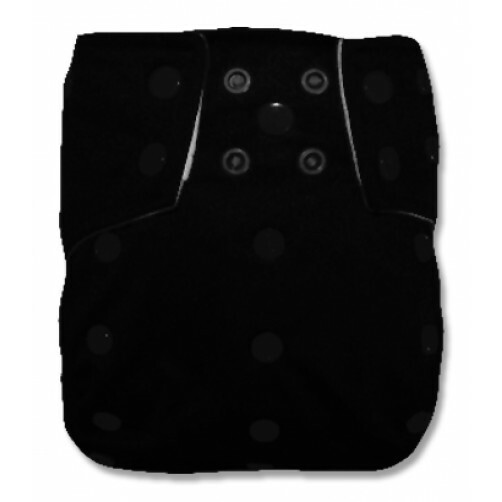 Inserts will self agitate in the wash.
Add 4 layer hemp inserts to further boost absorption. 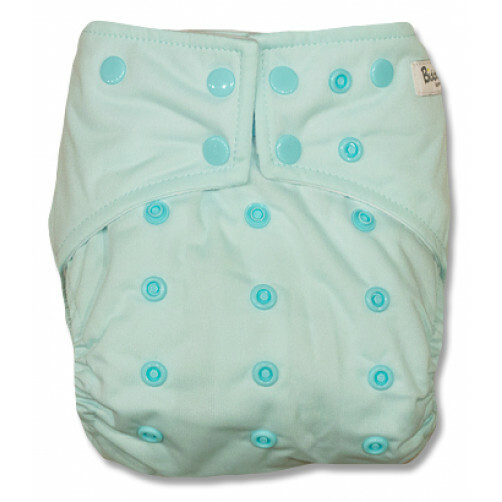 Size: OSFM fitting from ±4.5Kg's through ±16Kg's . 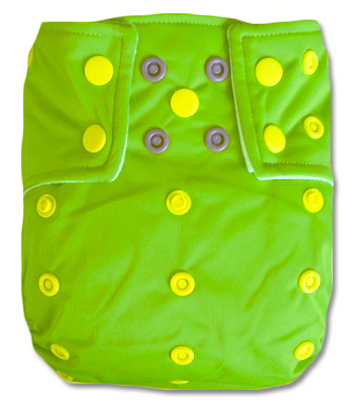 *BiddyKins nappies are manufactured to our exact specifications specifically for us by our factory. 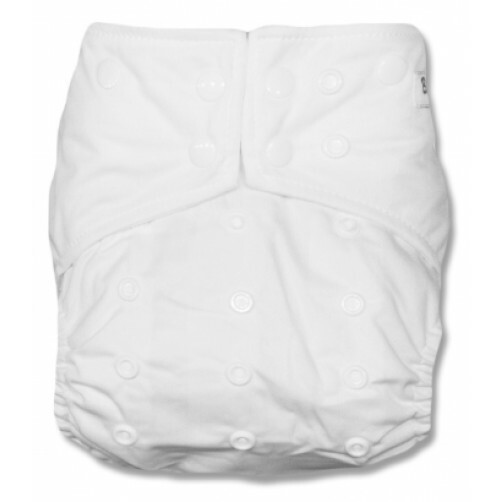 Other nappies may look like our nappies - but our sole distribution rights with our factory, for South Africa and neighbouring countries, means that other "look-alike" nappies are NOT made in our factory to our exacting standards. 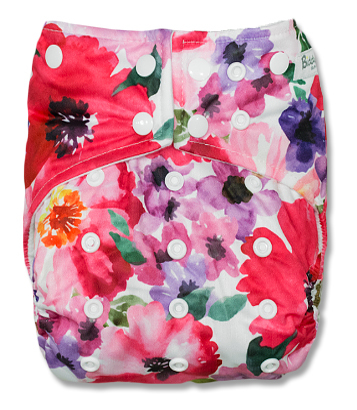 BiddyKins quality, trusted by moms!